Following Gary Palmer’s (Head of Centre) talk with members of the Rotary Club of Chichester earlier this summer, officers of the local Rotary Club visited Cobnor Activities Centre last week to present a cheque for £400. As a member of Rotary International, the Club’s aims are to translate their passions into relevant social causes, in order to change lives within our community. It’s fitting that they have chosen to support the work of Cobnor Activities Centre Trust, which was formed by Martin Beale in 1979 who wanted to share the joys of Cobnor and Chichester Harbour with those less fortunate than himself. Cobnor Activities Centre Trust still exists to help enable young people in West Sussex and its surrounding counties to reach their full potential, by providing high quality outdoor activities and residential experiences. During his talk, Gary highlighted the present financial predicament faced by the Centre, now that all financial assistance from West Sussex County Council has been withdrawn. Essentially, thesailing fleet and powerboat craft continue to need maintenance and repairs in order to allow our young people to enjoy the beauty and thrills of Chichester Harbour. Gary Palmer thanked the Rotary for its generosity and encouragement and hopes to work closely with the Rotary in the future. Should you wish to make a donation to Cobnor Activities Centre, please get in touch with us today. 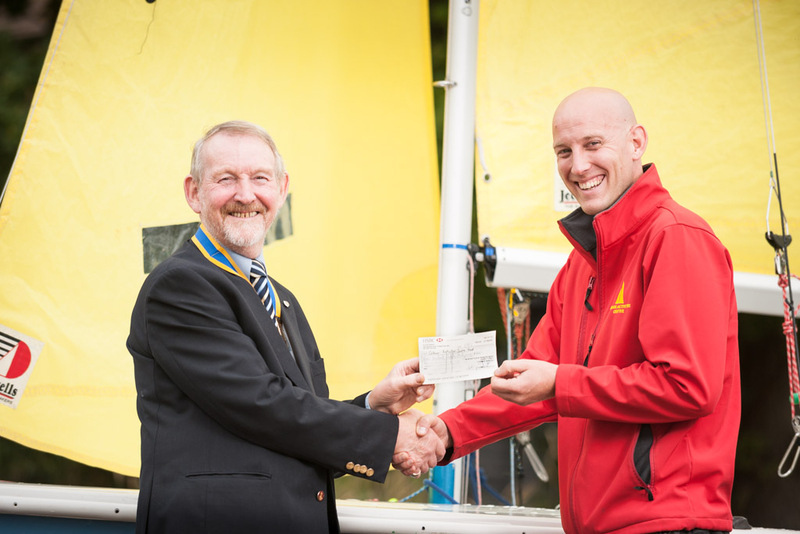 You can see a photo of the Members of The Rotary Club of Chichester Priory with Gary Palmer and Pete Davies from Cobnor Activities Centre in front of one of the Centre’s Wayfarer dinghies on our Facebook page. Photos by Keven Osborne/Fox Fotos.